With a modern, ultra energy efficent Guardian Warm Roof. Replaces your existing poly or glass roof allowing you to use your conservatory all year round. This stunning warm roof system is available in these vibrant colours. 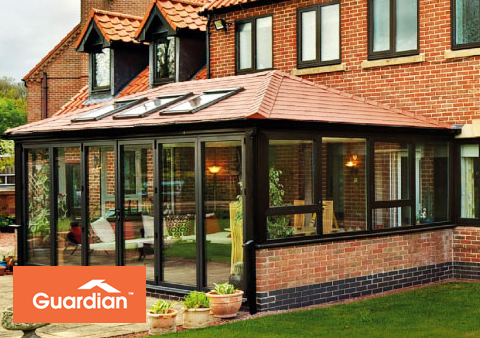 You can now enjoy your conservatory all year round with the Guardian warm roof system. You will notice the difference when choosing this superb tiled roof system. This extension or Conservatory roof system is the perfect replacement for a replacement conservatory roof or a new conservatory build. This is the Uks most popular tiled conservatory roof system and we are installing in your area. 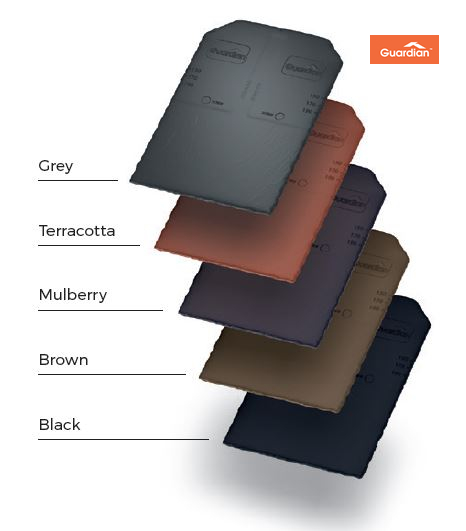 The Guardian Warm Roof is a big step forward in home improvements. The main thing which separates this roof system with traditional glass or polycarbonate roof replacements is the enhanced thermal qualities. This roof system replaces your existing roof with a thermally efficient tiled system which maintains an ambient temperature all year round. We install this superior roof system across Cheam, Sutton and the surrounding region. Call our friendly team today and take advantage of this excellent conservatory roof. The Guardian Warm Roof is LABC approved, available in most sizes; it’s thermally efficient and can be installed extremely faster than other roof systems. For a no obligation chat about your requirements or to book a no hassle measure up and price, call our friendly team today. We offer this superb Warm Roof systerm across Cheam, Sutton, Surrey and London. 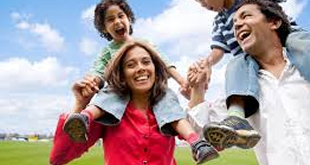 Call us today and book a FREE survey 0208 646 5542.